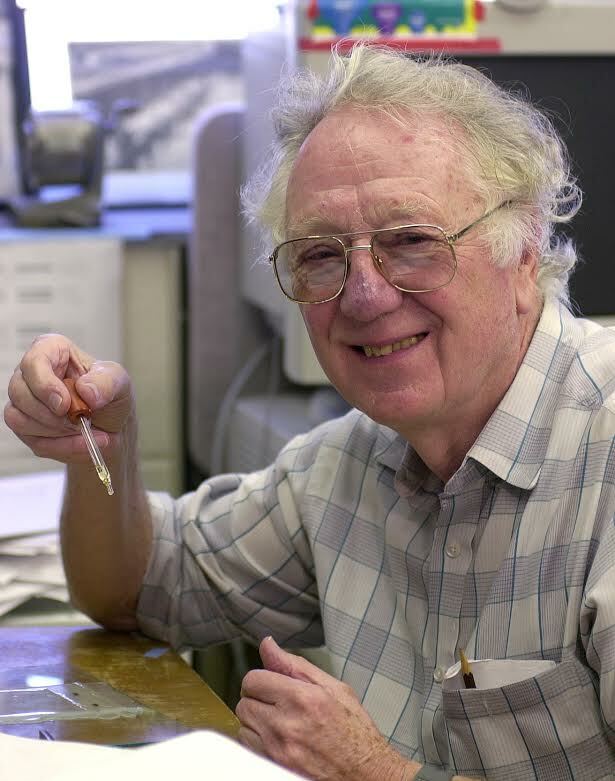 Dr. Oliver Smithies is the Weatherspoon Eminent Distinguished Professor in the Department of Pathology and Laboratory Medicine at the University of North Carolina at Chapel Hill School of Medicine. He received his PhD in Biochemistry at Oxford University and spent some time on the faculty at the University of Toronto, as well as the University of Wisconsin, Madison, before joining the faculty at UNC, Chapel Hill where he is today. Oliver is a distinguished scientist, and in 2007, he was a co-recipient of the Nobel Prize in Physiology or Medicine. Among many other accomplishments, he is the recipient of the Albert Lasker Award for Basic Medical Research, the Wolf Prize in Medicine, the Massry Prize, and the University of North Carolina’s O. Max Gardner Award. Oliver is also a Member of the U.S. National Academy of Sciences, a Member of the U.S. Institute of Medicine, a Fellow of the American Academy of Arts and Sciences, a Fellow of the American Association for the Advancement of Science, and a Foreign Member of the Royal Society. Oliver is here with us today to tell us all about his journey through life and science. One of Oliver’s hobbies is flying in his glider. This fascination with airplanes, gliders, and flying goes back to Oliver’s childhood and he was delighted to take flying lessons and dedicate some time to flying during one of his sabbaticals. Oliver is a pathologist, which means he studies the things that go wrong in the body when you get sick, as you get older, or with chronic disease. In particular, he uses mouse models to study genetic factors related to diabetes and high blood pressure. In science, if you know the answer, it isn’t an experiment. You do an experiment because you don’t know the answer. As a child, Oliver didn’t really know much about science. However, when he was about seven years old, he really liked a character in a comic strip who was an inventor. Because of this, he decided he would become an inventor. He stayed true to that dream in a sense since he is inventing new methods and knowledge as a scientist. He was trying to find a method to determine the direction of DNA replication and struggled with this project without success for over six months. Oliver was pulled out of his research slump when he came across a new paper that used methods that he could apply to a different project on gene targeting. He dropped the failing projects and dedicated his efforts to this new research direction which led to his Nobel Prize-winning work. Much of the research for which Oliver was awarded the Nobel Prize in 2007 was conducted back in 1985. For years people talked about and joked with him about how the research was worthy of a Nobel Prize and whether he would receive the award each year. Then, one October, he received the call from Sweden at 3am to announce his award. The ceremony was very formal, and he had a very busy schedule laid out for himwhile he was there, but it was certainly a memorable experience. Oliver has been awarded a few honorary degrees, and a few years ago, he was awarded an honorary degree from Oxford. It was wonderful to go back and revisit all the old places from his memories and reignite his Oxford and Balliol College pride with current and former students. While working on gene targeting, Oliver had heard about PCR machines (used to amplify DNA), but they were not available for purchase at that time. He knew having one would save a lot of time, so he decided to make his own. This tradition of cobbling together pieces of broken equipment and other things around the lab to create something new dated back to Oliver’s graduate school days where the lab used to store and label discarded equipment as NBGBOKFO (No Bloody Good But OK For Oliver), rather than throw things out. As a tribute, he labelled his hand-crafted PCR machine NBGBOKFO. Over the past 20 years Dr. Smithies’ research has been focused on identifying genetic factors that control blood pressure. Recently, its emphasis has shifted towards understanding factors that cause some pregnant women to develop pre-eclampsia, which is characterized by hypertension and proteinuria. He has been approaching this goal by using mouse models of pre-eclampsia and searching factors that influence the pathological processes. The work has already led to a potential trial of a novel, safe and inexpensive dietary supplement that may enable mothers with pre-eclampsia to avoid or delay the need to have early delivery of their babies. Pre-eclampsia accounts for about 20,000 premature births in the United States each year. A second research area that is occupying his attention concerns the way that the kidney glomerulus discriminates between large proteins, which do not cross the glomerular barrier, from small proteins, which do. To facilitate this study, Dr. Smithies has developed a simple method for making stable, oligomeric gold nano-particles. These oligoclusters have hydrodynamic radii similar to most of proteins in plasma and are therefore useful as tracers for studies of the biological fate of macromolecules with controlled sizes and charges. These and other gold nano-particles will be used in assessing kidney functions in vivo in the coming year.